OPERATING SINCE 2011, Woolworths Pet Insurance has its customers at heart – ensuring that Australia’s four-legged family members are protected and looked after. 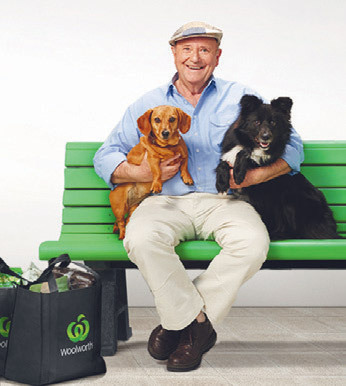 Woolworths Pet Insurance maintains high levels of customer service in a number of ways. First and foremost, the customer service team is made up of like-minded people who genuinely love animals. Indeed, the service and claims team sometimes bring their own pets into work. So, you can trust that your pet is in good hands. Woolworths has a strong continuous improvement mentality and this translates into customer service through initiatives such as the Customer Corner, where the customer service team attend sessions focused on customer feedback to ensure they are continually learning and adapting to different customer needs. In addition, it conducts regular customer surveys to understand pain points and how to better improve its service. By providing ‘low effort claims’, customers no longer have to contact vets for consultation information. Woolworths Pet Insurance does this for its customers to make the claims process even easier and provide fee reimbursement faster. There is a quick turnaround with 99% of claims being processed within five days once all supporting documentation is received. MyPet is an online portal that provides customers with a tailored experience. It enables them to view information that is particularly relevant to their policy, has a handy search feature and offers relevant and updated content to help them take even better care of their pet. Cover is issued by The Hollard Insurance Company Pty Ltd ABN 78 090 584 473 AFSL No. 241436 (Hollard). Woolworths Group Limited ABN 88 000 014 675 AR No. 245476 (Woolworths) acts as Hollard’s Authorised Representative. Any advice provided is general only and may not be right for you. Consider the Product Disclosure Statement to decide if the product is right for you.